2013 will be an amazing year for Ryan Gosling and his fans. Do you want to know why? The year will start with a bang! 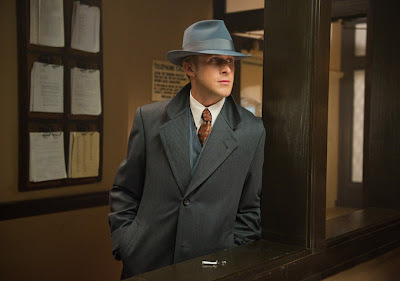 Gangster Squad will be released in the US and UK on January 11. And Ryan will be attending talking shows, premiere and other promo duties. Lots of new interviews right at the beginning of the year. It couldn't have a better start. On March 29, The Place Beyond the Pines will get a limited release in the US. More promo will happen for sure. We already have a trailer and the critics love the movie. We are very excited for this. We have a May release date in France for Only God Forgives so much speculation is happening about a Cannes premiere. Let's hope for a repeat from last year. 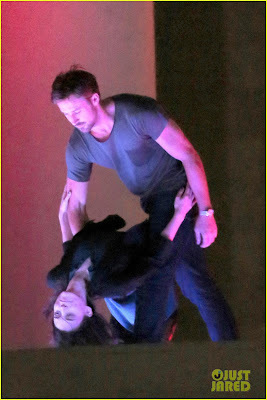 Also in May, Ryan will begin shooting his directorial debut How to Catch a Monster. Right now, we have open casting calls for three characters: Bones, Frankie and Face. Christina Hendricks and Ben Mendelsohn are already on board of the project. We don't know much (not even the title) for The Untitled Terrence Malick Project. We have a July release date in Russia on imdb but right now we are not sure of anything. It will probably premiere in 2013, though. We can't wait for 2013 to begin to watch all these movies, to follow this new step on Ryan's career and to share it all with you.